Saima Saleem and her two daughters Nayhaa and Narmeen are changing stereotypes as they help police the county. A mum and her daughter, who are both Special Constables for Northamptonshire Police, say they are hoping to change perceptions of Muslim women. Saima Saleem, who is in her early 40s, was a full time mother to three daughters, until she became a special constable in August 2014. Currently undertaking a BA Policing degree at the University of Northampton, Saima carries out a minimum of four hours a week of voluntary policing work. 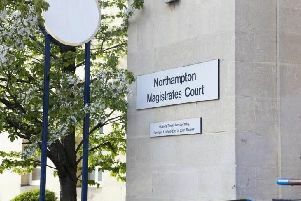 She said: “Before joining Northamptonshire Police, I had never worked. I had no work experience as I had always been a house wife. Facing an interview was a really big obstacle for me as I had no idea what to expect or what kind of example I could give to them. Culture has played a huge part in Saima’s life: “As a Pakistani woman, being a special constable is a big thing. I always wanted to join the police force but never had the courage. But when my husband saw my passion towards the police, he told me to join. He has been such a huge support for me. SAs a Muslim female officer, Nayhaa says it is more than just a job: “For me, being a Muslim officer means a lot. Firstly, because I want to change people’s views on Muslims, I want to show that we are a part of this community as much as they are and what we are doing is for this community. You can be a Muslim and a police officer at the same time! “Being quite young and a female, I do sometimes struggle as people want to talk to someone a bit older or a male officer whom they think will have more knowledge or might help them more than I will. This is one thing that I will have to deal with. The younger member of the Saleem family is 17-year-old police cadet Narmeen. Sophia Perveen, chair of the Northampton Muslim Police Association, helped support the family in the recruitment process, she said: “As a former police officer myself, I know how challenging it can be to undertake such an important role.